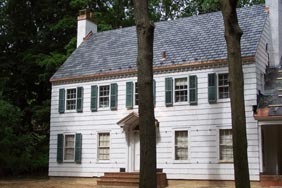 Slate roofing has been a historic choice for discerning homeowners looking for a classic, elegant roofing option. 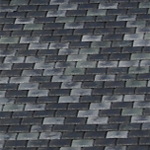 Titan Old World Slate is ideal for the savvy consumer who wants the aesthetics of slate without the need for added expensive structural support and yet is also environmentally friendly and a truly high performance product. 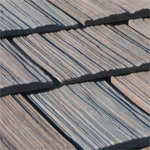 With a 1” thick profile, Titan Old World Slate truly replicates thick quarried slate. 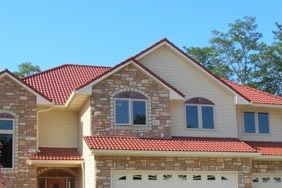 Titan Shake provides an entirely different style of traditional roofing. Available in three sizes, 5”, 7”, and 12”, Titan Shake varies in thickness from 5/8” to 7/8”, thicker than any other composite shake product available. This feature gives your roof dramatic shadow lines adding to the classic rugged look replicating hand split cedar shake. 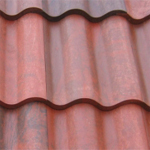 Titan has two Spanish profile tile; the double roman style Old World Spanish A4, with its Class 4 hail impact rating, and Class A fire rating, and Old World Spanish which also has a Class 4 hail rating and a Class C fire rating. Whether you desire the traditional terra cotta or one on Titan multi-color blends, you will be inspired by the beauty of the only tested and tried Spanish tile on the composite tile market. Titan’s roofing products truly replicate the high end roofing options that have long been considered traditional, classic and timeless.